EVERY SKILL IS A THRILL in the Nissan JUKE. 100% equipped to boost your ride with an immersive 360⁰ sound experience, smart technology and brilliant personalisation possibilities, it pushes the thrill OF DRIVING TO THE MAX. Dare to be different with the Nissan Juke – Nissan’s compact crossover car with fearless style and thrilling performance. The Nissan Juke BOSE Personal Edition spec is at the very forefront when it comes with innovative technology. 5.8” Touchscreen Sat Nav, colour reversing camera, DAB radio with six speakers, Bluetooth and phone integration, USB and AUX compatibility. You’ll be hard pressed to find another car with so much integrated tech. 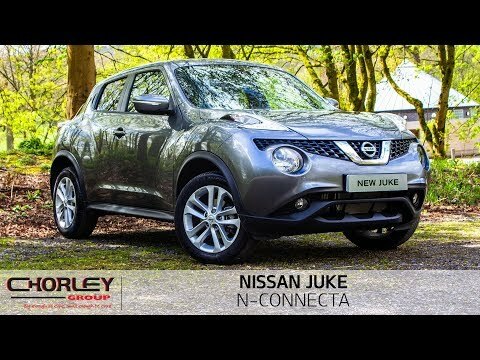 The Nissan Juke is available in various different 'grades' starting with the basic Visia then Acenta, Bose Personal Edition and finally the top Tekna grade. With intelligent headlamps and wipers, driving in a rainy night will never be an issue. 2018 Nissan Juke headlamps turn themselves on as soon as it gets dark and the wipers automatically activate when it rains, adjusting themselves to the intensity of the rainfall as needs be.